Cob, barmcake, teacake, a bara - they might sound like entirely different types of bread but these are actually just a few of the names used across Britain to describe bread. This infographic designed by Lizzie Astles sets out to explain some of the strange names used to describe round bread in Britain. 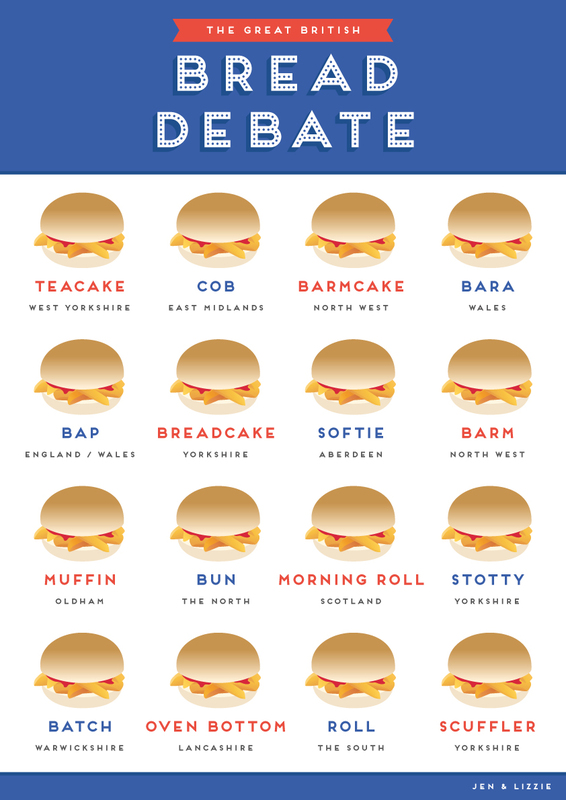 It’s a roll in The South, a stotty in The North and head to Wales and many people will call it a bap. It’s fascinating to see just how many different words there are to describe the exact same ingredient. Take a look and let us know in the comments what you call it.